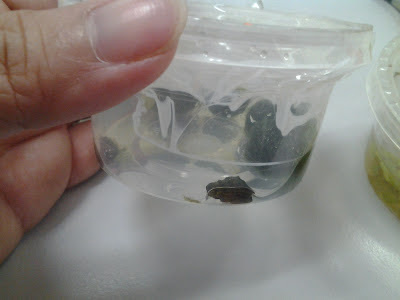 I read that Malaysian Trumpet Snails (MTS) give birth to live young, which I think is awesome, so I was pleasantly surprised to discover some MTS babies in my tank recently. Check it out! An MTS baby alongside the grown ups. I've spotted at least two emerging from the gravel so far. 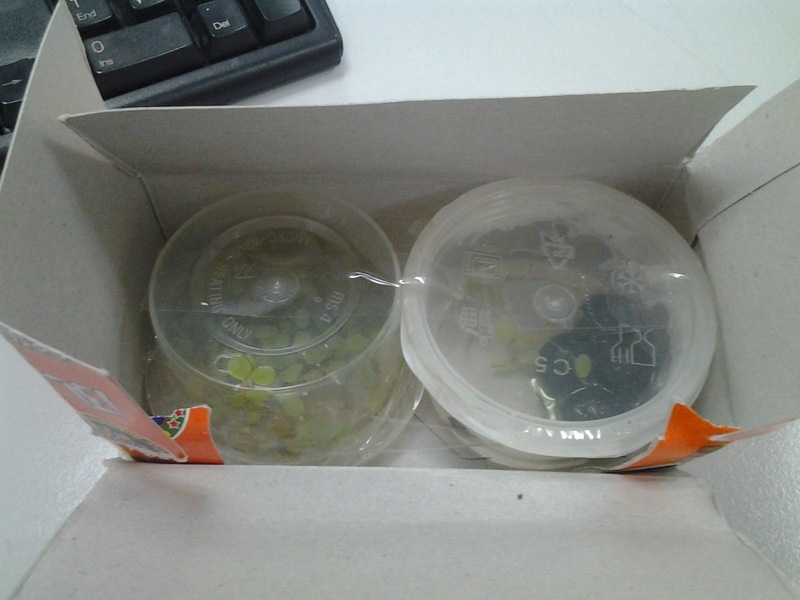 I got my adult MTS from an online blog called Penang E-Aquarium :) Right now, my tank contains only snails - one apple snails, a few ramshorns and, of course, the MTS. I do see planaria and detritus worms sometimes and I think they're horrible! Isn't it a cute package? Not much longer than a pen. 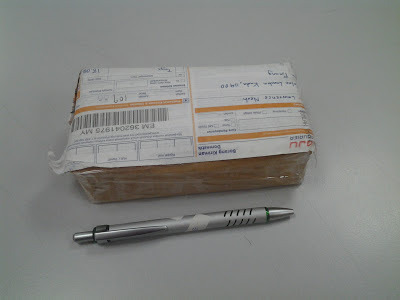 My stuff came in these two small containers. It's been a few weeks now, the trumpet snails and marimo balls are doing just fine. My apple snails ate all the duckweed though, which is ok... at least they got a snack! 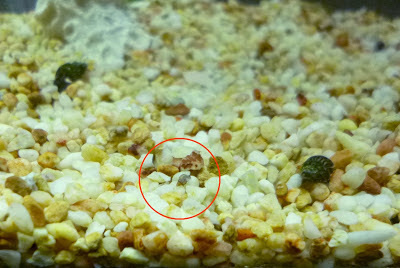 The trumpet snails are quite shy, they like to hide in the gravel. Occasionally, at night, they'll come out to explore a little bit. I just love the trumpet snails, they are adorable! Thanks Penang E-Aquarium!